You can make your own from scratch with this Starbucks Chai Tea Latte Recipe in the comforts of your own kitchen! And at a fraction of the cost. 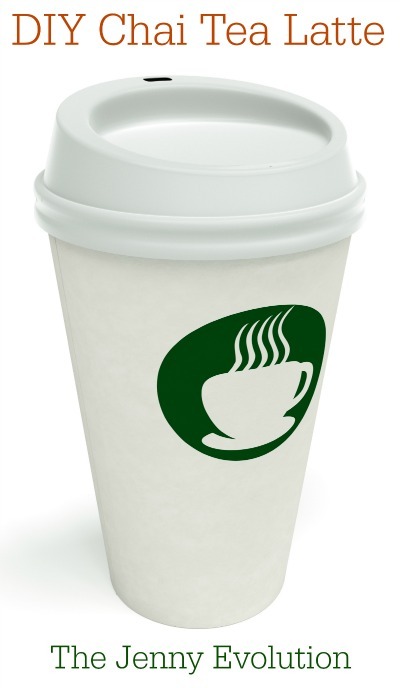 Ever crave a Starbucks Chai Tea Latte but not the price? I know I often want the yummy goodness of a Chai latte but don’t feel like dropping more than $5 for a drink. And if you have a Keurig sitting in your kitchen, you can easily make it with K-Cups! Learn how to make Starbucks Tazo Chai Tea Latte with your Keurig. I do it this way every single morning. This post contains affiliate links. Pour milk and water into a saucepan. Remove milk and water from heat. Add black tea bags, honey, cinnamon, cardamom, nutmeg, cloves and ground ginger. Put mixture back over heat and let the latte simmer for 5 minutes. Remove from heat and filter liquid. Serve immediately. 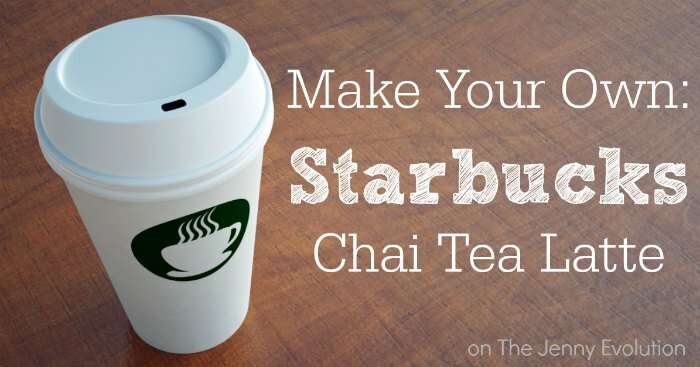 Craving a Starbucks Chai Tea Latte but not the price? Make your own latte at home with this copycat recipe! Yummy! I love Chai tea lattes. Thanks for the recipe! You’re welcome! 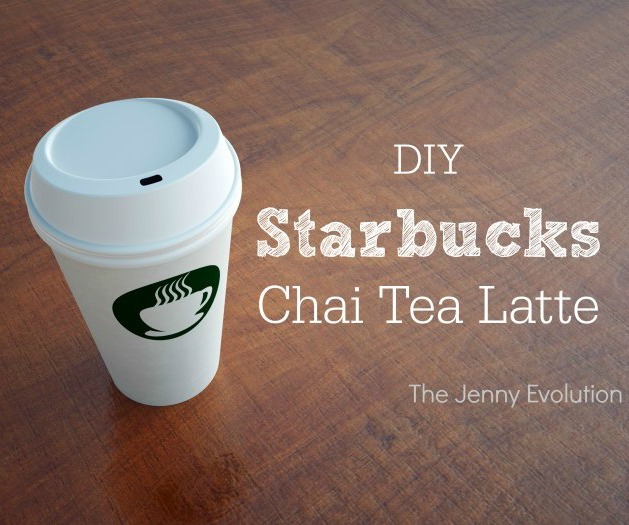 I’m working on how to make Starbucks Chai with your Keurig right now… look for it next week! that is an awful lot of honey! I like finding copy cat recipes,thanks for sharing your recipe on #OMHGFF this week, appreciate your visit!! Yum! I will have to try this! I’m a tea junkie. Then you’re going to LOVE this recipe. Enjoy! If I only wanted to use milk instead of water, should I just cut out the water entirely, or double the amount of milk needed? You can definitely make it with just milk… it makes it that much more creamy. Just cut out the amount of water and replace it with milk. This looks so awesome! Can I use soy milk in this recipe? I actually love it with soy milk! My husband and I both love Chai Tea Lattes! Yum! Looking forward to giving this a try. Thanks for sharing this. I’m going to have to try this with coconut milk this weekend! This recipe is absolutely amazing! And so easy to make! Love it! I have an espresso machine with a milk steamer/frother jet. Normally I use this to bypass having to use a saucepan for the milk when making lattes and such. Is there any way I can get the steps for making this with that jet attachment rather than using the saucepan? Thank you sounds yummy! This is really good. I’d like it a little more spicy, not sure which spice to add more of. This really is a delicious copy!!! Rather than adding one particular spice, have you thought about making a “stronger” cup of chai… raise up all of the measurements of the chai vs. liquid. It would be like getting an extra shot in your cup at Starbucks. I can’t wait to try this? How long can you store the leftover chai latte in the refrigerator? I only keep it in the fridge up to a week, personally. IS there a way to not use milk powder? I LOVE chai latte’s! I will have to give this one a try! Trying to break my Starbucks addiction!!! Thanks for sharing at Happiness is Homemade Link Party! Oh, Chai Latte’s are my favorite! Thanks for sharing the recipe at the Family Joy Blog Link Party this week! Please join us again next week! This is one of my favourite drinks at Starbucks! so yummy!! I would just make the syrup and refrigerate the extra. The last step is: Remove from heat and filter liquid. How do you filter the liquid? Hi, looking forward to making this! I assume everything is ground except for the cloves, or do you use Whole Cardamon and full cloves and all else is ground? What Chi tea do you think is most like Starbucks to use in this recipie? If you store this for a week, can you reheat it or does it impact the taste? How much syrup for just one cup? I like your recipe. But this isn’t how Starbucks makes theirs. They pour it out of a container of Oregon Chai. The lazy way. When you steam milk everything tastes good. Hi this is Kristina visiting from Tuesdays at Our Home. Not only does this save money but I bet the ingredients are much better for you too. It’s a win win! I’ve always thought it’s better to make drinks at home anyway because you can make them exactly how you like them. This is my FAVORITE thing to get at any coffee shop. I love knowing that you have a recipe that I can make at home for a fraction of the cost. Thank you so much for sharing it with us! I found your link on the Dream, Create, and inspire blog hop.